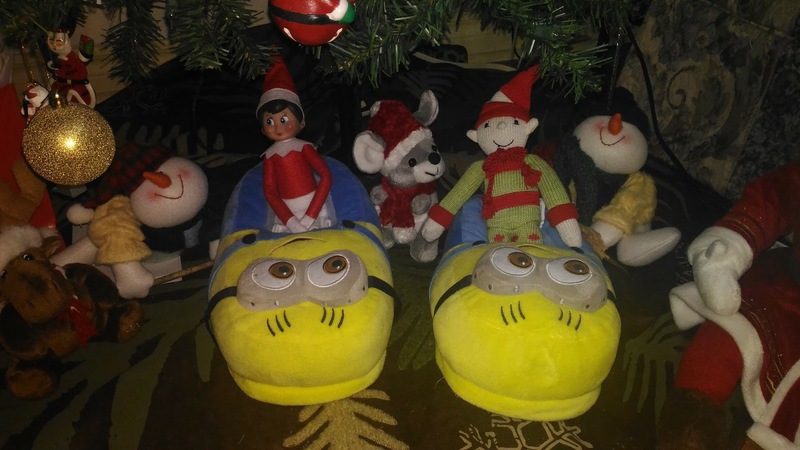 Elfie Sparkle first came to the Foley household in 2013. Emma was 5 and Rose was 2. This is her 3rd year visiting our home for the month of December, and it’s been her most interesting year yet. Every year is an Elf on the Shelf Christmas! A few weeks ago Emma and I were downtown and she asked if we could go to the toy store. We had time so of course we went. But what was the huge display in the window? Elf on the Shelf in all her packaging! Emma was astounded: “I didn’t know you could get Elf on a Shelf in a store!” I said “Can I tell you a secret? We bought our Elf in a store. We wanted to be sure we could adopt one for you guys!” She accepted that no questions asked. Dodged a bullet there! Phew! 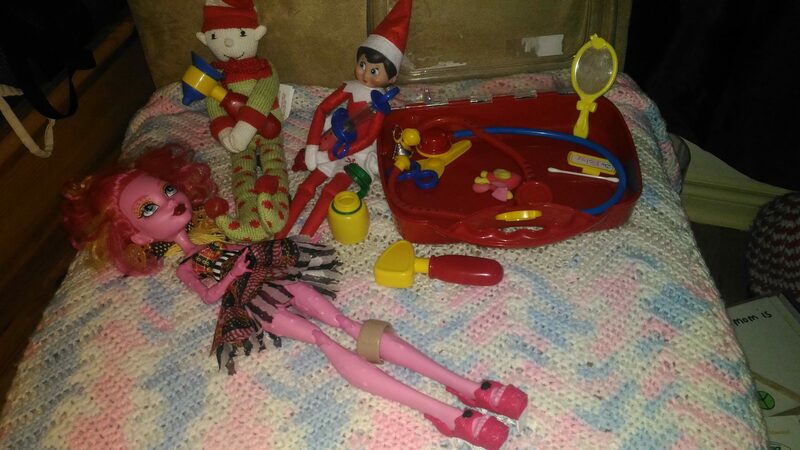 When the girls were younger Elfie spent most of her time living on top shelves and picture frames. We weren’t convinced that our very young daughters understood the “don’t touch the elf” rules. For anyone who doesn’t know the story of Elf on the Shelf, here’s the About section of the website where you can read about Elf on the Shelf, find an adoption centre and buy all sorts of unnecessary accessory Elf products. We bought our Elf at a local toy store (might have been at Target before they went out of business) and we keep her and her story book in the original box in our closet when it isn’t December. Of course the girls think she goes back to the North Pole to be with Santa in the “off season” getting things ready for the next Christmas-time. 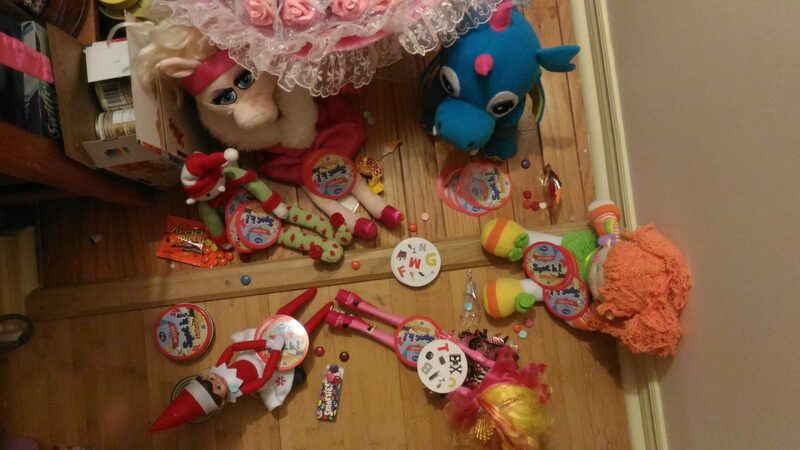 This year I am documenting Elfie Sparkle’s adventures on my A Modern Mom’s Life Facebook page. Look for the album Elf on the Shelf 2016. Then “Like” my page while you’re there so you don’t miss out on my other witty posts! Some nights I’m very uninspired, so those are the days she sits atop the clock in the dining room, or visits the kids rooms and sneaks in with all the other stuffies. I have a few more ideas for some mischief for Elfie Sparkle to get into this December. I’m also sharing the posts on my Instragram each day. 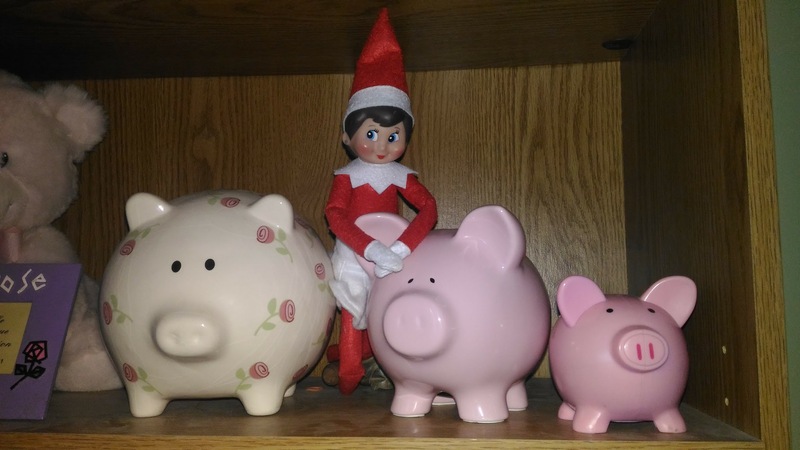 There are lots of ways for you to keep up with Elfie! I share the Instagram posts to my Twitter as well. Do you have an Elf on the Shelf Christmas? Have any fun photos to share? Or any great ideas to do in a cluttered home? (I’m still slowly working on de-cluttering but it’s so hard!) Please share in the comments – I love to hear what my readers are up to! And let me know if you try any similar ideas to mine. By no means are my ideas unique – I browse Pinterest just like everyone else! Get your own Elf on the Shelf here (affiliate link): https://amzn.to/2T2XFoA We have the girl, but it also comes as a boy. And then, as I mentioned, you can browse all the accessories to really get your kids in the spirit! Decluttering sure DOES take time. I’m still slowly working on it! 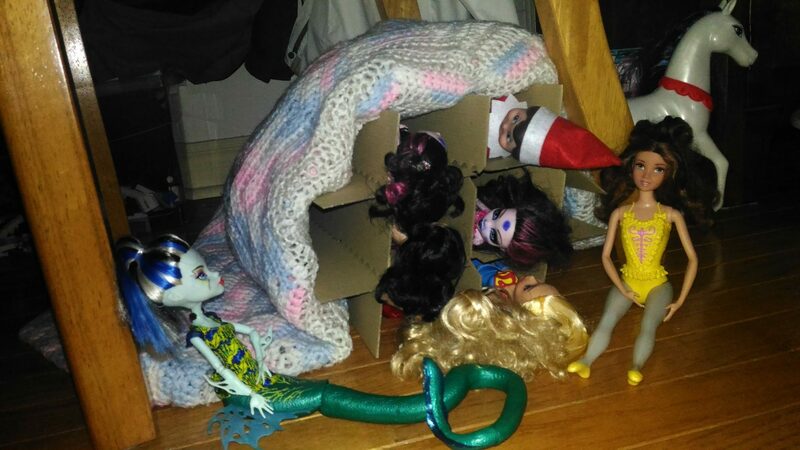 And we really enjoyed Elf on the Shelf this year. She may make a few appearances through the year this year…I’m still working on some ideas! We have never done Elf but we did have Snowy and Christmas come and visit for a couple of years. They recreated scenes from lots of our favourite picture books 🙂 It was fun but some nights I nearly forgot! I think we made it through only having to go back downstairs to move her once because we forget before we got into bed. That’s a lot better than past years! This year was fun! It was fun. She may make a few appearances through the year this year. I’ve got a few ideas percolating. Thanks for the comment Tonya! We tried to do the Elf, but I kept forgetting. So our elf went on sabattical and just sits on the mantle. These are really cute ideas, though! Thanks Lydia! Sometimes it’s tough to remember to move them every day. I saw a Facebook meme with an Elf with a “broken leg” and a letter from Santa saying he couldn’t move for 2 weeks. That person was a genius!